Some businesses like to have a workflow where certain people are responsible for reviewing proposals before they officially go out to prospects, to ensure that pricing, quality, or content is all in order. 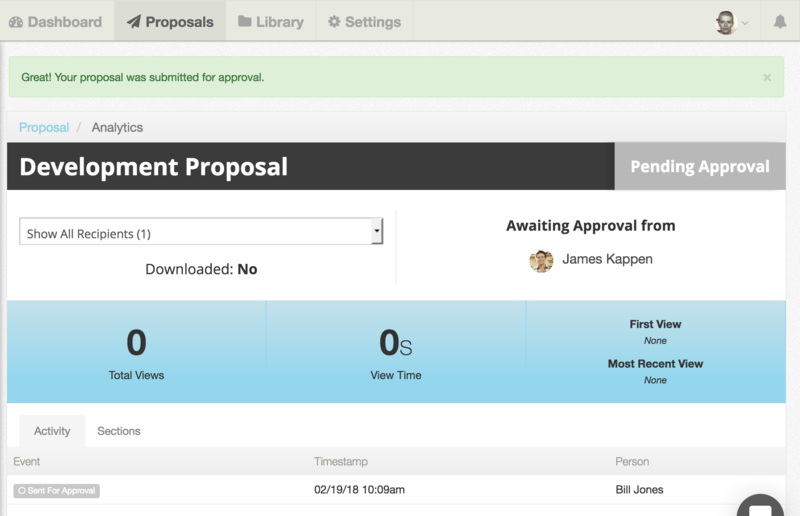 This optional workflow adds a layer of control and automation to your proposal process and helps speed up the approval process by seamlessly notifying the correct people when an approval is needed. *Note – This feature is only available on the Enterprise plan. To learn more about upgrading, schedule a demo here. Proposal Approval settings are specified at the user level and are found on each user’s profile page. You can specify when an approval is required and who the approving user or users are for that particular user. 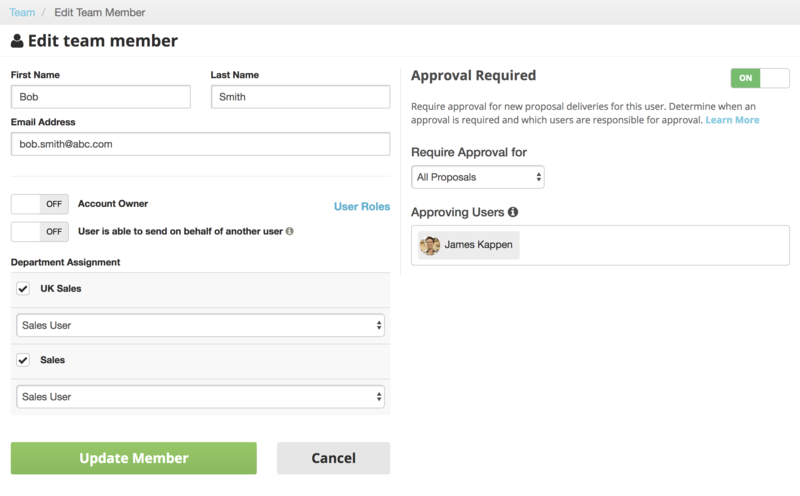 When approval is required, as the user hits “deliver”, the proposal will move to a “Pending Approval” state and notifications will be sent to the approving users, telling them that an approval action is needed from them. 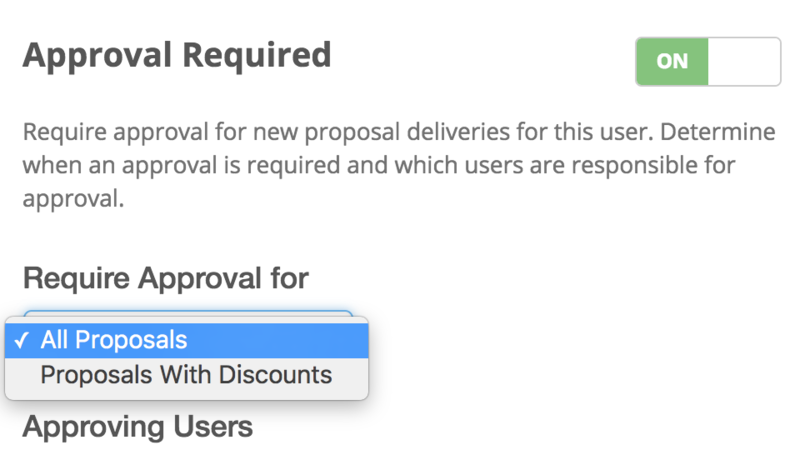 Once the approving user reviews the proposal, they are prompted to click the “I Approve” button. Once approved, the proposal gets delivered and the sender gets notified that their proposal has been approved and delivered successfully.